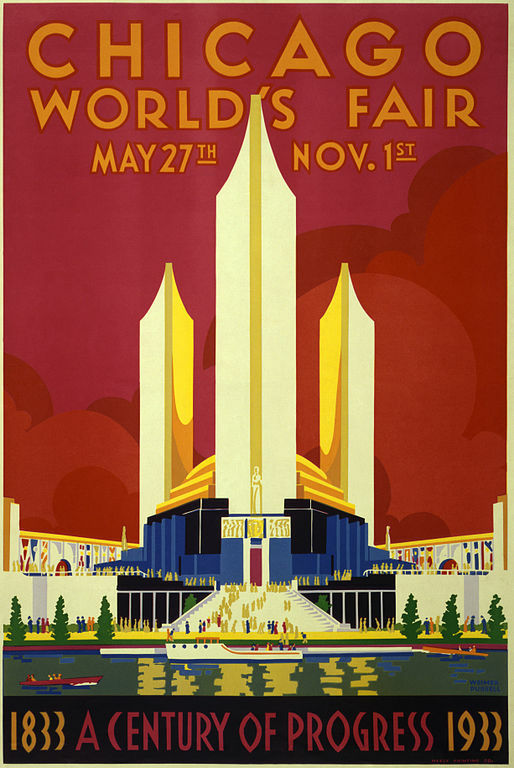 One of the first global design movements, Art Deco appeared with the expansion of modern technologies and mechanization in the early 20th century. Celebrating novel aesthetic, futuristic ideas and mechanized world, it reached a peak in the 1920s, only to decline in the 1930s along with the Great American Depression. Without a manifesto or a unifying idea, the movement was very diverse and focused on applied arts rather than painting or sculpture, although fine art creatives did find inspiration in the new shapes that, on the other hand, were inspired by much more ancient cultures. The 1920s were the period of great discoveries and Egyptian and pre-Columbian pyramids emphasized by the discovery of Tutankhamun’s Tomb, African art, Greco-Roman styles and exotic findings were as popular as they were important. Along with the great futuristic art movements of the era – Fauvism, Cubism, Bauhaus, Futurism, and others, Art Deco artists followed visual trends and created a unique amalgamation of them all. 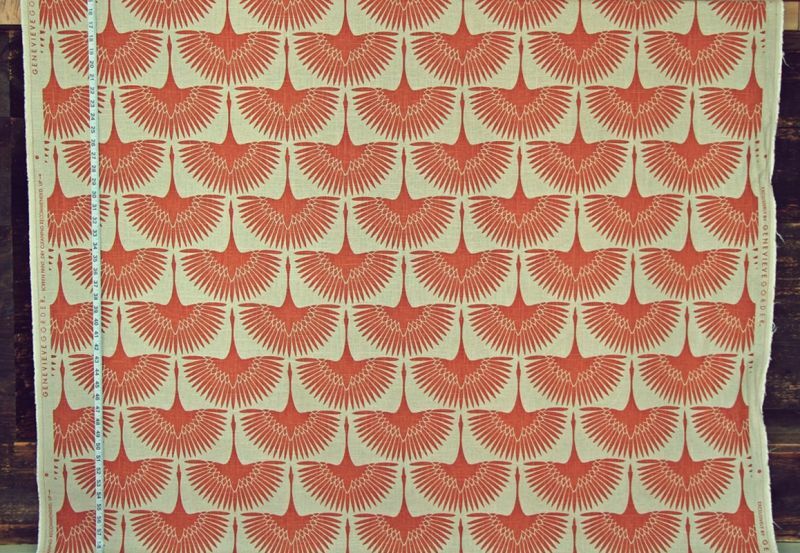 Looking at the design pieces from the era, we can find ancient forms at their core, stylized and abstracted and ultimately transformed into new patterns and designs. 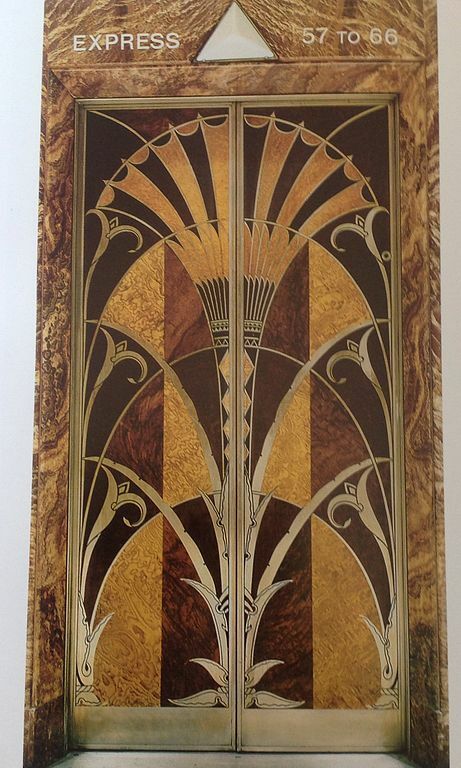 All about the design and opulence, Art Deco did flaunt lavish materials, especially in the interior design, but mosaic as such was never a particularly popular technique. Still, with history repeating itself and the old art styles regaining popularity and attention, we find that connecting mosaic with Art Deco might result in a successful marriage. 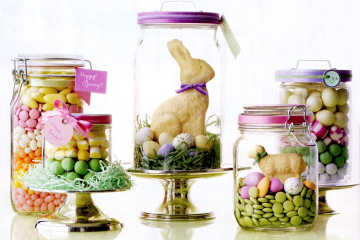 With a spectacular selection of the period architecture, furnishings, ceramics, glassware, metalwork, fabrics, prints and fashion pieces, an inspiration for a home mosaic can be found anywhere and these are the designs that would look especially interesting if executed in mosaic technique. New York is probably the world capital of the Art Deco style, with its early skyscrapers and their unique architecture. 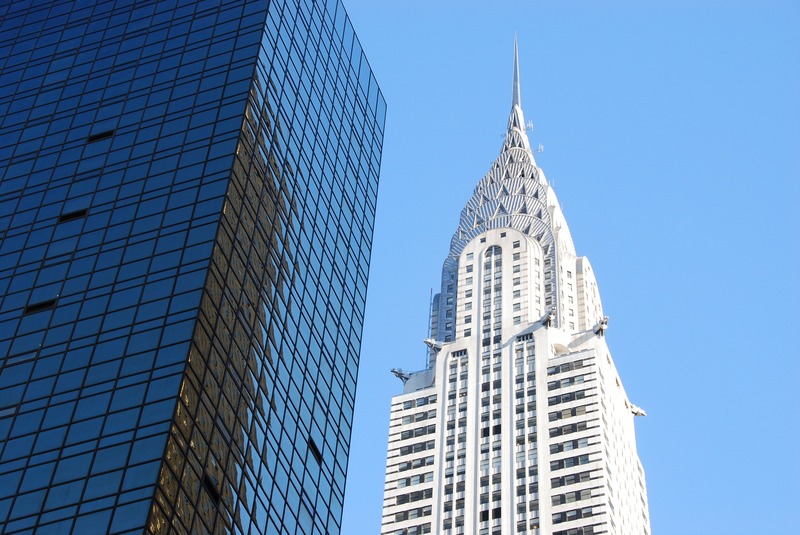 The most prominent example is the famous Chrysler Building with its stainless-steel clad crown and a luxurious interior. 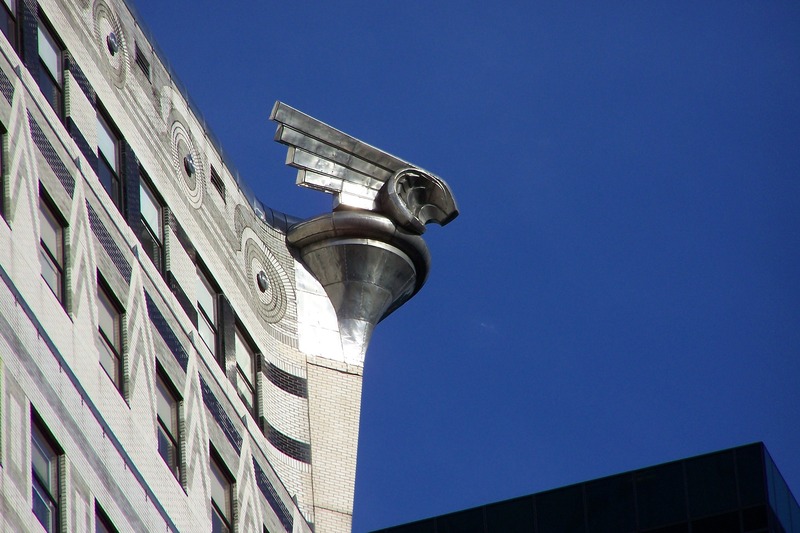 This national landmark was designed by architect William Van Alen for automotive industrialist Walter P. Chrysler. The construction of the tallest building at the time started in 1928 and it was done by 1930, but it was soon eclipsed by the Empire State Building in 1931. The Chrysler Building is considered one of the finest examples of Art Deco and some of its elements are seen as iconic. Reinterpretations of these elements can be found in numerous artworks and some of the building’s finest features can be interpreted well in mosaic. 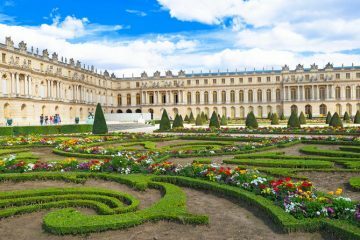 While the pattern of the steel crown resembles an ancient Egyptian design, it can be added to any tile pattern, just like its exterior decorations such as gargoyles and facade pattern. 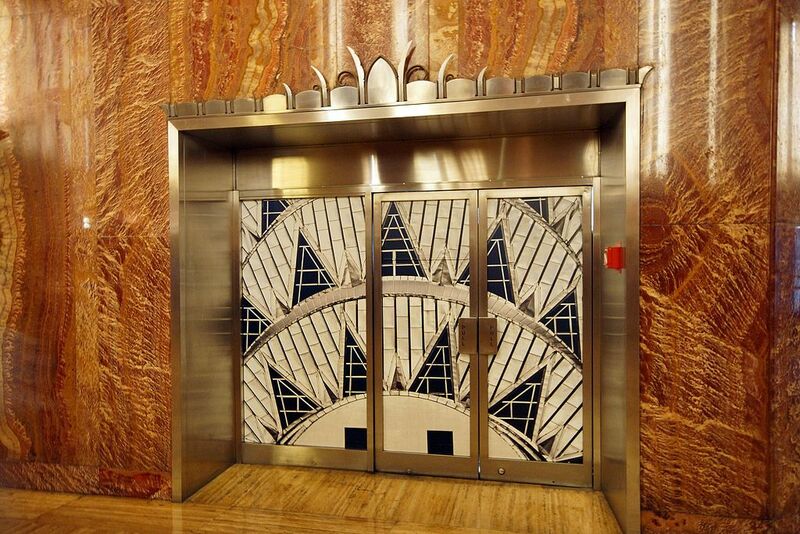 Perhaps one of the most prominent Art Deco features are the elevator doors in the lobby of the building. An elaborate inlay of acanthus ornaments in a combination of fine, glossy metal and wood is something that can be translated into a mosaic quite easily. No need for tesserae, but an opus sectile technique would work perfectly. 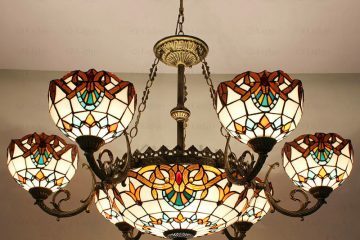 In truth, such a design does require a spacious home interior, but it definitely brings timeless elegance with it. Another set of Chrysler Building interior doors reflects the structure’s crown, showing that a mosaic interpretation of the emblematic design is something they thought about from the beginning. 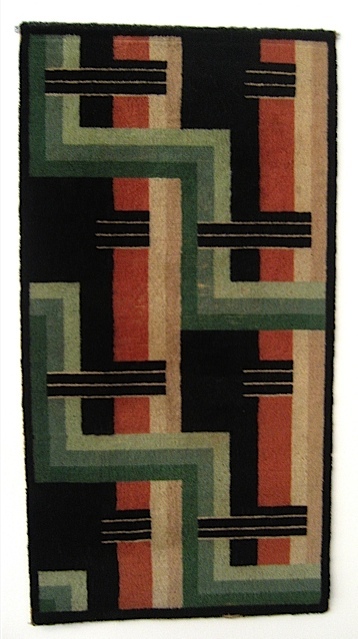 Art Deco patterns were defined and dominated by geometry. While the repetition and decorative potential were inherited from Art Nouveau, they do keep a more contemporary look and focus on the angular details and elements found in the urban and industrial landscape. 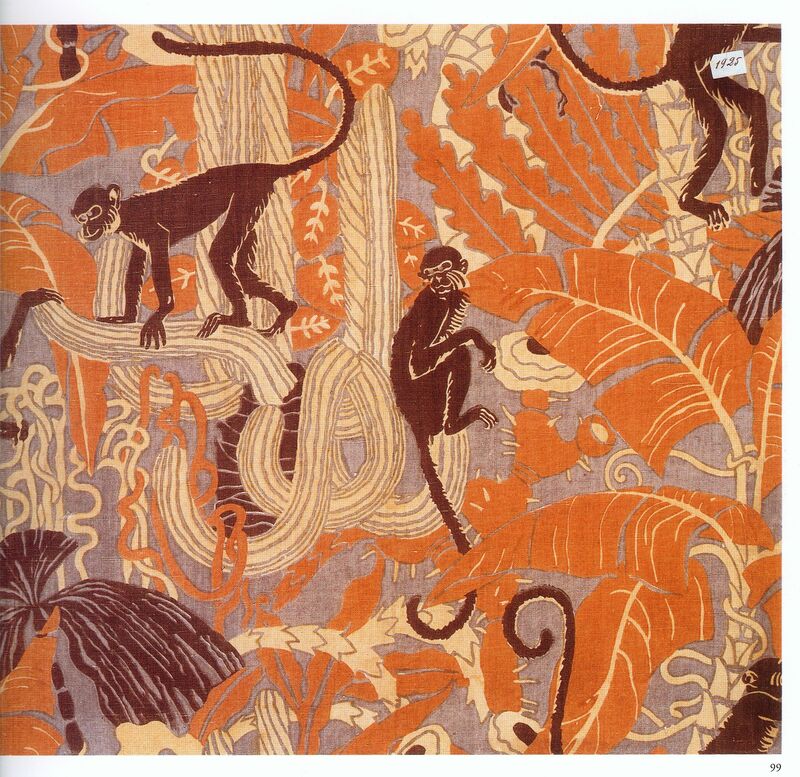 The textile design was important during this period, as fashion was one of the key points of the style. Stylized figures and fresh colors of Art Deco fabrics can easily be transferred into a mosaic. Due to their high visual impact, we recommend that you keep it limited to a smaller statement area, where these wall creations can also get a frame. Whole walls also look fantastic covered in a mosaic pattern, but these designs require more space and lighter rooms. Since their expansion in the late 19th century, posters became one of the most prominent advertising methods, but also a favorite artistic canvas for many creatives. Today, Art Deco posters are considered highly collectible, and their modernistic designs are often reproduced in different media. So, a home mosaic with a motif taken from an Art Deco poster would not only be a great home feature, but also a unique way to pay homage to the art of the period, only in a more durable, sumptuous manner. There are hundreds of popular poster designs to choose from, usually advertising theater productions, fairs, events or luxury products such as cars. 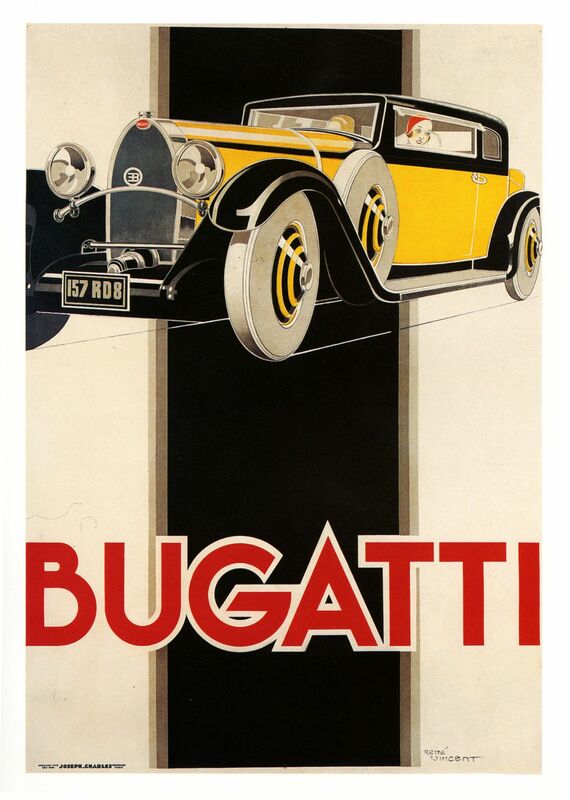 Bugatti posters were among the more popular ones, but a great foundation for a mosaic can also be any of the prints featuring a prominent architectural structure of the period, stylized, of course. Although Art Deco was ruled by design in virtually every aspect, there are artists whose paintings, drawings and sketches kept that visual appeal of the fine art that we hang on walls. 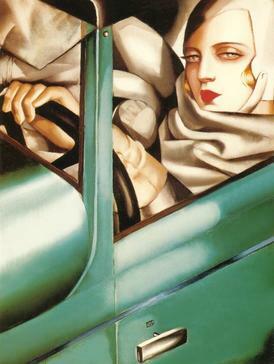 The most famous painter of the era was probably Tamara de Lempicka, a controversial Polish artist who enjoyed socializing with European aristocracy. Portraits she painted are among the most popular such images in modern art history, often used as decoration for various items – from homeware to stationery. Even though her work was rarely translated into a mosaic, this a perfectly possible endeavor, but a good mosaic craftsman is definitely required for it. 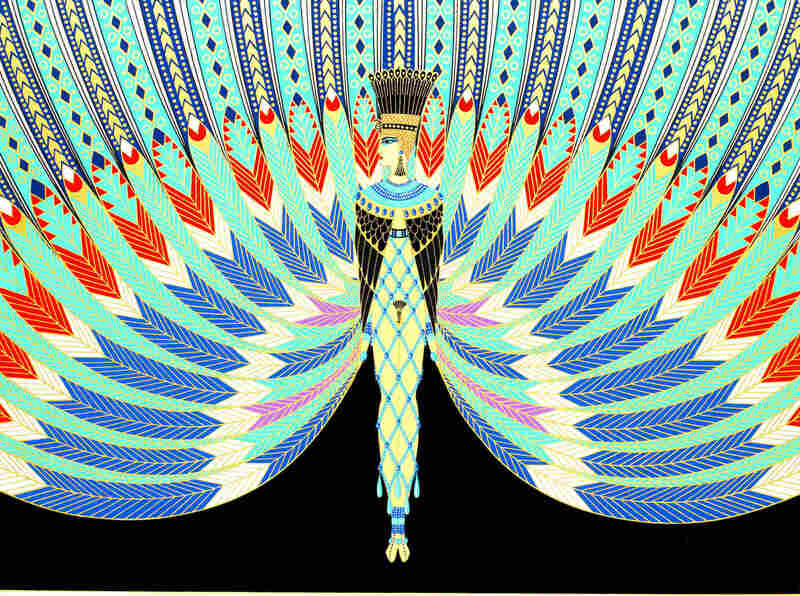 Another great artist, a draughtsman and a designer whose works can be a wonderful inspiration for home mosaics is definitely Erté. 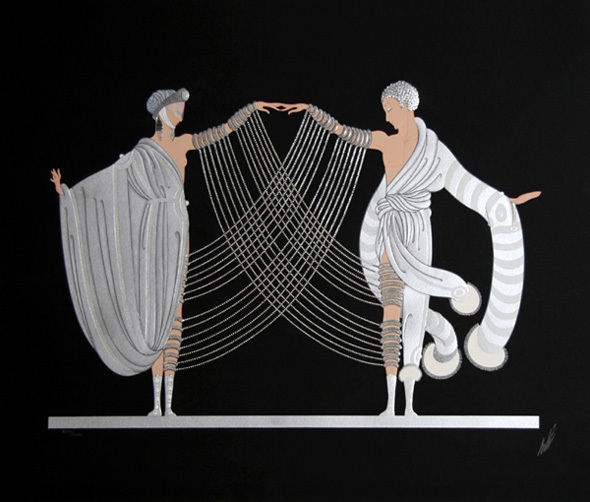 This Russian-born French artists was primarily a costume, jewelry and set designer, but he also left behind heaps of graphic designs people still turn to when looking for an authentic Art Deco style. His works were generally figurative, featuring a dainty female figure, often dripping in jewels or fine fabric. Colors, proportions of shapes in these paper-based pieces tell the entire story of Art Deco notion, where geometry lies beneath the ever subtle curve. 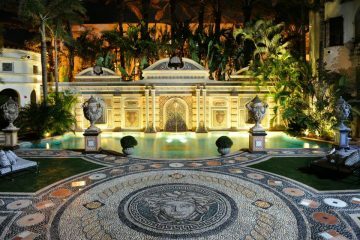 Recreating any of his pieces in mosaic would be a challenge, but a beautiful one – one that would endow your home with a unique art piece reflecting one of the most stylish periods in art history.